"Home Sweet Home" refers to his sentiments toward the lunar module as he looked at it from the outside, while standing on the Moon. 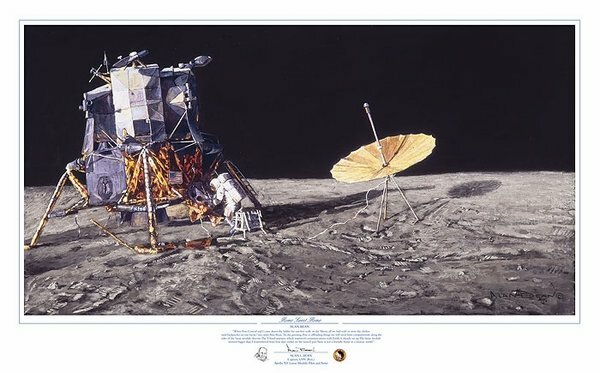 “When Pete Conrad and I came down the ladder for our first walk on the Moon, all we had with us were the clothes (and backpacks) on our backs,” says artist Alan Bean. “The lunar module seemed much bigger than I remembered from just four days earlier on the launch pad. Now it was a friendly home in a faraway world.